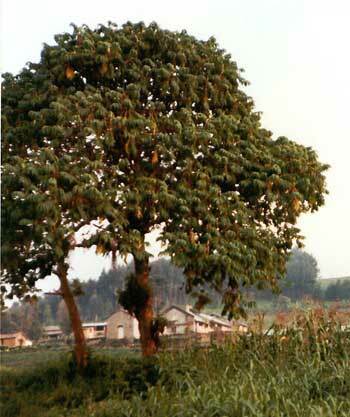 Don’t go out looking for a kousso tree unless you happen to be in the tablelands of northeastern Ethiopia. The flowers are small and greenish-purple. If taken in proper doses, the flowers have no effect except to eliminate tapeworms. Kousso flowers are obtained in powder form. Infusion: add 1/2 oz. powder to 1 cup warm water. If the worms have not been expelled after 4 hours, take 1 tbsp. castor oil. Excessive doses may cause nausea and vomiting.